This is a closeout item. When our current inventory is gone it will no longer be available. 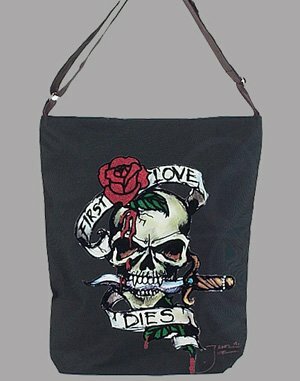 The love bag comes with adjustable shoulder straps. Bag is 17 inches tall and has a glitter design also a zipper closer.